Our Principal Marc J. Strohl, CPA is a sitting member on multiple committees of The New York State Society of Certified Public Accountants (NYSSCPA) and is a regularly featured and a quoted contributor to their publications, including the bi-weekly newspaper The Trusted Professional and their NYSSCPA.com Online Blog. 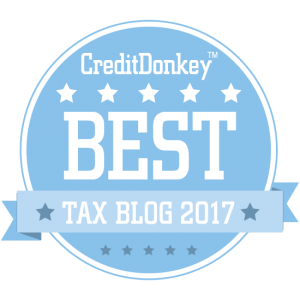 CreditDonkey.com a credit card comparison and financial education website recently named the Protax blog one of the best tax blogs of 2017. Marc J. Strohl, CPA has received honorable mentions and been quoted in numerous prestigious publications such as The Wall Street Journal article “Offshore Bank Account Reporting Deadline Nears“- by Laura Saunders. 02/09/18 – Richard Morgan at the New York Post interviews our Marc J. Strohl CPA principal on the latest numbers of persons to expatriate the US. Marc J. Strohl, CPA is often sought out and featured internationally in industry publications, including the critically acclaimed Thomson Reuters’ Reuters’ monthly newsletter publications Journal of International Taxation and Practical Tax Strategies, replacing their publication Practical International Tax Strategies, that examines cross- border tax developments for an audience of in-house tax counsel, tax directors and CFOs of Fortune 1000 companies. He is also featured on Thomson Reuters’ Checkpoint database– the leading electronic database for tax, accounting, and legal professionals. 01/31/11 – Edition Publication- Thomson Reuters’ twice monthly newsletter publication- Practical International Tax Strategies- Marc J Strohl, CPA’s article “Are You a U.S. Person Thinking of Accepting a Foreign Assignment? Some U.S. Tax Matters You Should Know Before You Accept”.